Take Home Jamaican Art for Christmas! The National Gallery Gift Shop is an integral part of the National Gallery of Jamaica experience. Just like the museum, the gift shop allows visitors to discover and learn about appreciating Jamaican art. It is the ideal place to shop for your Christmas gifts and to support Jamaican artists and the National Gallery in the process. 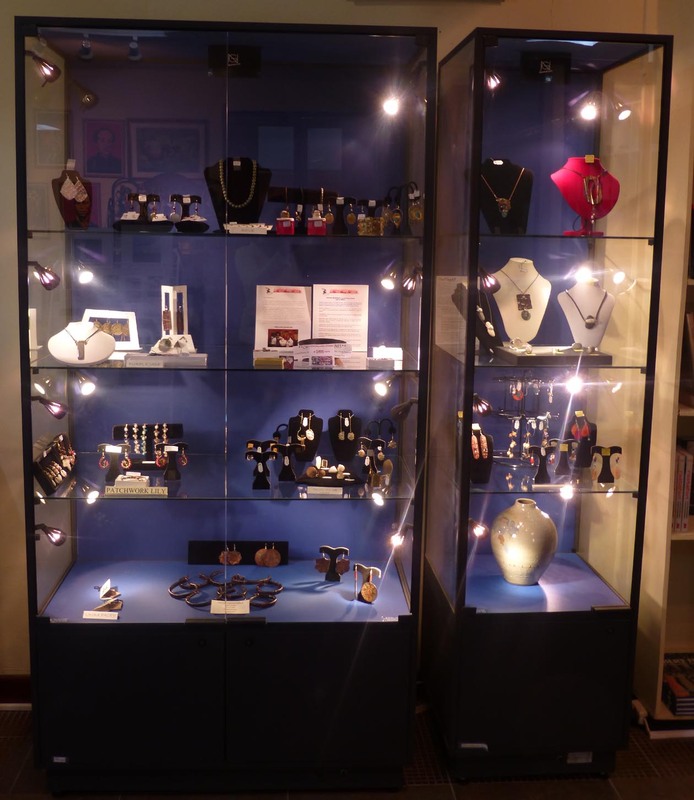 The gift shop has a great selection of goods and gift items for every taste and budget, with decorative accessories and art, as well as exclusive jewellery, made by local designers. We also have a wide selection of books on Jamaican and Caribbean art and culture, as well as many high quality publications developed by the Gallery staff of art historians and designers over the years, and children’s books. We also carry a large selection of art reproduction posters and greeting cards, many of which feature works of art from our collections. The National Gallery Gift Shop regularly updates its offerings and we are pleased to introduce some of our newest products. 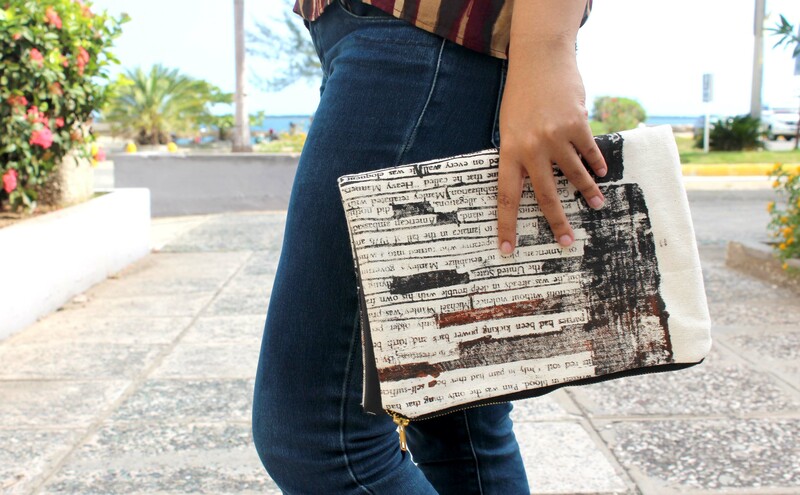 Handmade coin purses, clutches and backpacks created by Edna Manley College graduate Khristina Godfrey under her Heavymannaz brand are show stoppers. 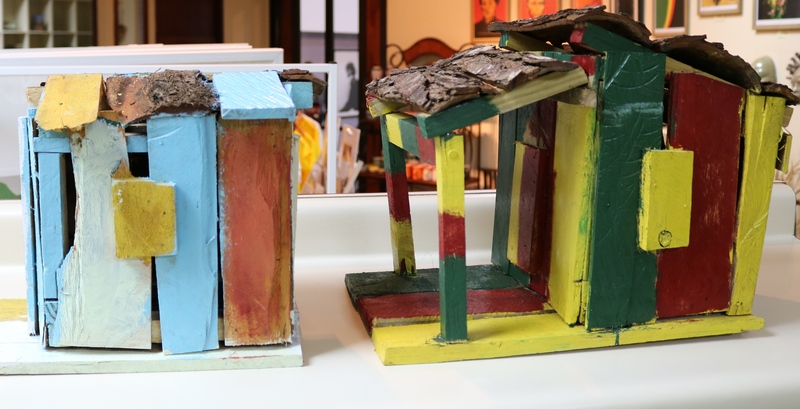 There are also miniature vernacular shacks and shanties of the island made by Eddie Harris, who was recently featured by the Observer as part of Design Week. New publications in the gift shop include, “Usain Bolt: Legend,” by the Gleaner Company (Media) Limited and “Dewdrop” by Courtney Hogarth. 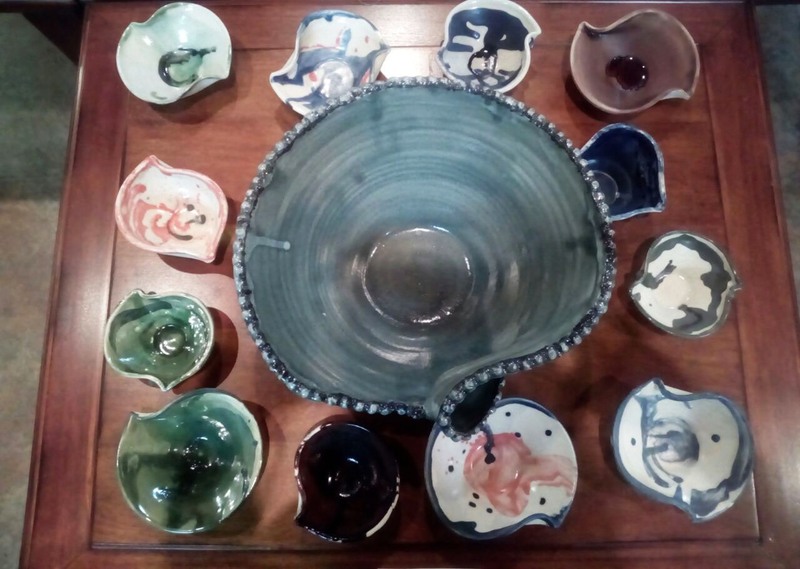 Leonia McKoy and Andranique Morgan have added great products to our ceramics collection and Carol Campbell, Reve, The Girl and the Magpie, and Purple Jade have supplied exquisite new jewellery designs. There’s always something new at the gift shop so visit us today and support brand Jamaica, with your purchase of a unique, one-of-a kind gift item that will show your loved ones that you care. Revenue earned from the Gift Shop helps to support the National Gallery of Jamaica’s education and exhibition programmes. The Gift Shop is open Tuesdays to Thursdays, from 10 am to 4:30 pm and on Fridays from 10 am to 4 pm. On Saturdays, 10 am to 3 pm and every last Sunday of the month from 11 am to 4 pm. Your Mother deserves the best and the best place to shop for her special gifts is the National Gallery Gift Shop. We have a wide variety of fine Jamaican made gift items that will help you to show your appreciation and put a smile on her face. For this coming Mother’s Day, we are offering 15% off purchases JA$4,000 and over, plus a FREE gift. What are you waiting for? Visit us today for this exciting promotion which runs from May 11 – 13, 2017. The Gift Shop is open Tuesdays to Thursdays, from 10 am to 4:30 pm and on Fridays from 10 am to 4 pm. On Saturdays, 10 am to 3 pm and every last Sunday of the month from 11 am to 4 pm. Gift shop sales support Jamaican artists and help to fund the programmes of the National Gallery. 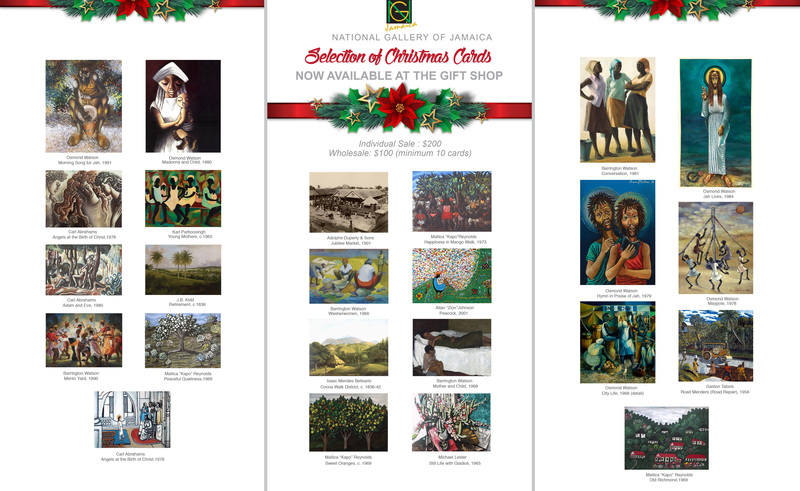 This holiday season, the NGJ Gift Shop celebrates over one century of Jamaican art with 24 holiday greeting cards, featuring richly printed reproductions of paintings and photography selected from the National Art Collection. Our 2016 selection has works by modern Jamaican artists Carl Abrahams, Michael Lester, Karl Parboosingh, Allan ‘Zion’ Johnson, Mallica “Kapo” Reynolds, Gaston Tabois, Barrington Watson and Osmond Watson. The selection also includes pre-twentieth century and turn-of-the-century artists Isaac Mendes Belisario, Adolphe Duperly and Sons, as well as, Joseph Bartholomew Kidd. Are you in search of the perfect holiday gift to show your family and friends that you care? Look no further than the National Gallery of Jamaica Gift Shop, which offers a wide selection of fine gift items to suit every personality and budget. Send Holiday wishes and New Year cheer with our exclusive greeting cards featuring iconic works of art from the National Gallery’s permanent collection. This season, we are excited to offer three new popular Jamaican artworks from our national collection as Christmas cards, available with pre-printed holiday greetings or blank. The new cards feature artwork by celebrated Jamaican artists Gaston Tabois, Albert Huie and Colin Garland. These artists have created beautiful visualizations in paint that depict the Jamaican landscape, people and imagination. Intuitive (self – taught) artist, Gaston Tabois’ Road Menders (1956); Albert Huie’s Noontime (1943) and the centre panel of In the Beautiful Caribbean (1974) by Colin Garland are the works selected. We are also pleased to offer Red Set Girls, and Jack-in-the-Green (1837) by pre-twentieth century artist, Isaac Mendes Belisario, courtesy of The Hon. Maurice W. Facey and Mrs. Valerie Facey collection. Also new in our Gift Shop are impressive masks created by the multi-dimensional artist, Nakazzi Hutchinson and matted colour as well as black and white photographs by fine art photographer, Donnette Zacca, who was awarded the Silver Musgrave Medal this year by the Institute of Jamaica. The National Gallery Gift Shop offers an assortment of fine, Jamaican-made merchandise, including: jewellery, prints, paintings, photographs, postcards, handcrafted woodwork items, T-shirts, ceramics, aromatic spa products, and home décor, which are designed and produced by local artists, designers and crafts producers. Revenue earned from the Gift Shop helps to support the National Gallery of Jamaica’s education and exhibition programmes. 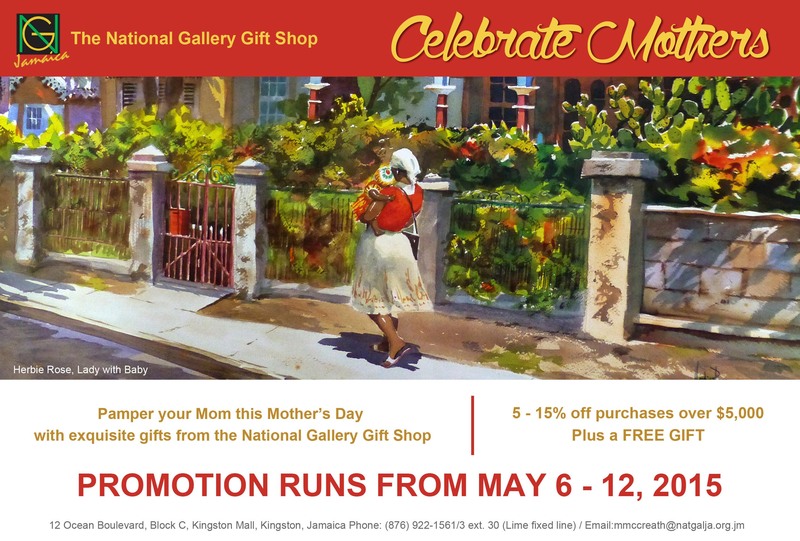 Show your Mother how special she is this Mother’s Day with exquisite gifts from the National Gallery of Jamaica Gift Shop. To help you express your love and gratitude, we are offering 5 – 15% off purchases over $5,000, plus a FREE gift for you. We are excited to share with you some of the gift options available in time for May 10. 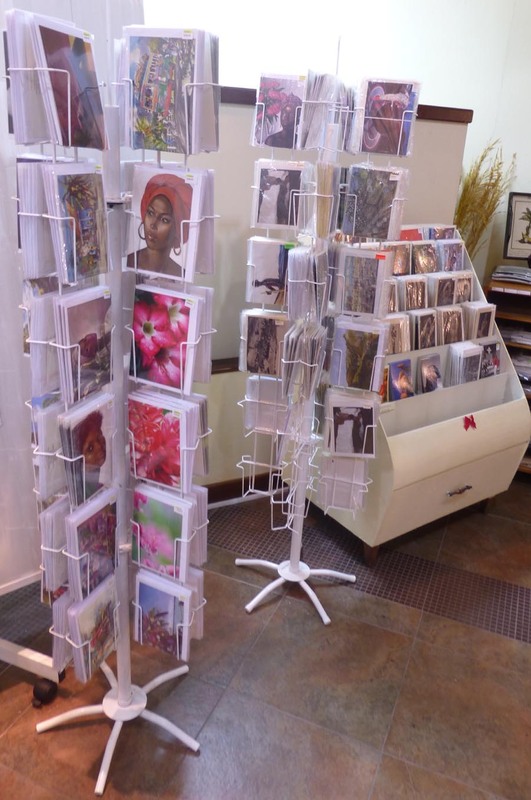 The Gift Shop carries a wide variety of blank greeting cards with art works from celebrated artists including: Barrington Watson, Herbie Rose, Edna Manley and Milton Messam. Personalise your Mother’s Day gift with a message on one of our art cards. Christmas Shopping at the NGJ! Still looking for that ideal place to do your Christmas shopping, with unique, Jamaican-made gift items and at prices you can afford? Come and visit our NGJ Gift Shop, which carries books on art and culture, including NGJ catalogues; a wide range of Jamaican art posters and cards, including our line of exclusive Christmas cards; unique art and craft items by various Jamaican artists; scented candles and soaps; and many other fine gift items. We have a brand new Jamaican art desk calendar for 2013, the National Biennial 2012 catalogue and souvenir mugs, T-shirts and notelets; poster reproductions from the International Reggae Poster Contest and select Michael Thompson poster reproductions; a new line of Jamaican art book markers; a wide selection of ceramics by artists such as Phillip Supersad, Michael Layne, David Pinto, Frazer Ceramics and the Clonmell Potters; and hand-made jewellery by Reve, Purple Jade, Megan Allison, Donna Uter, Kima Francis. Our prices are very competitive and gift shop revenues support various Jamaican artists and greatly help to fund the programmes of the NGJ. Our gift shop is open during regular opening hours. 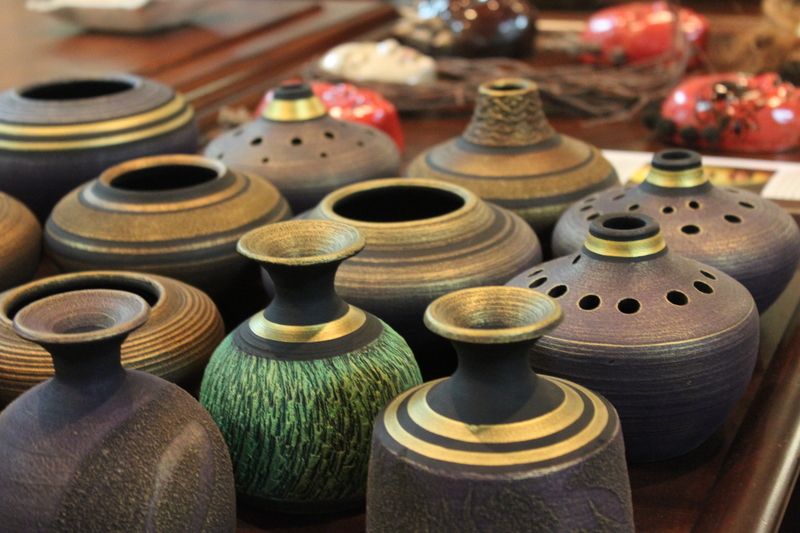 For information on products and prices, call us at 922-1561 or -63; we offer wholesale discounts on NGJ products.